This is a sponsored article on behalf of GROW London. Whether you've got a window box or a wilderness to play with, GROW London is coming to Hampstead Heath this weekend to help all Londoners make the most of their outdoor space. The three-day expo is a contemporary garden fair where visitors can pick up anything from plant pots to garden furniture to brighten up their gardens ready for the summer. Not sure where to start? Head along to the various talks and workshops going on. Tom Moggach will be talking about edible plants perfect for growing in small spaces, and North Londoner Naomi Schillinger will be sharing her experiences of a community veg growing project. Troublesome tomatoes or problem petunias? There's a panel Q&A session with green-fingered experts including Matthew Wilson of Clifton Nurseries and Derry Watkins of Special Plants. 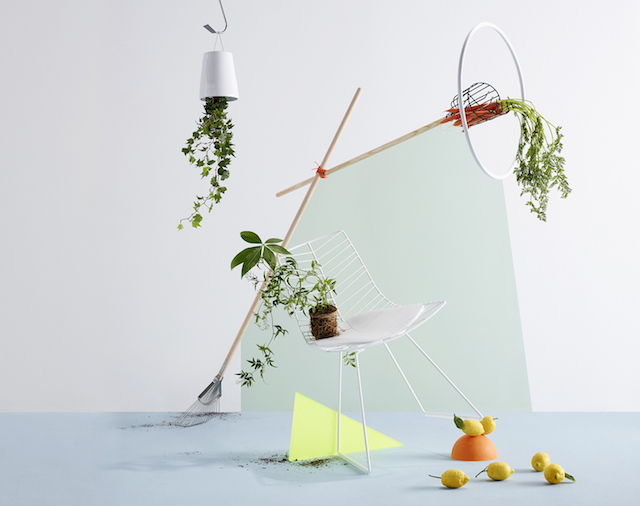 Even if you have no outdoor space, it's worth popping along, as items being exhibited include Boskke’s Sky Planter, which lets you turn your ceiling into a garden. There are also many other gardening products which can't be found on the average high street, giving Londoners the opportunity to get inspired and get growing, regardless of their space. GROW London runs 20 – 22 June at the GROW London Marquee, East Heath Road, Hampstead, NW3 1TH. Tickets are £10.80 per day and can be purchased online here.